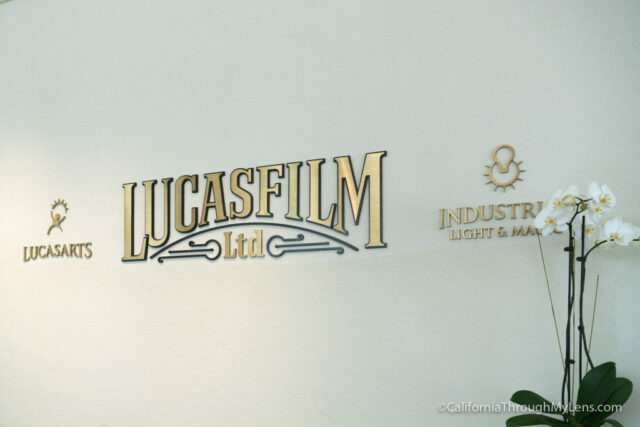 If you make the trip to San Francisco and you are a fan of Star Wars, then this is one of those places you need to visit. 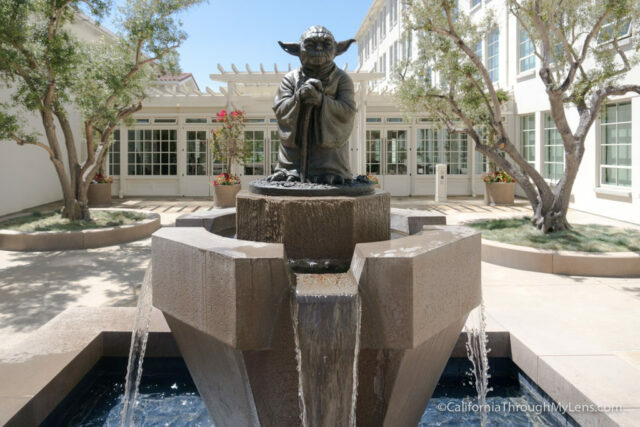 Lucasfilm makes its home right in the Presidio, and they have a small Yoda fountain out front and lobby with Star Wars memorabilia that you can see. 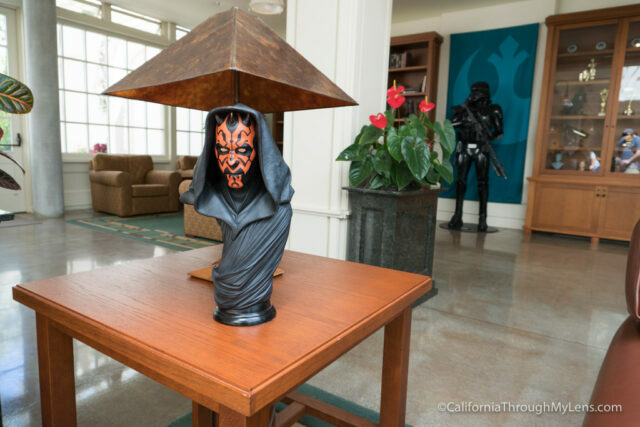 If you are not a Star Wars fan, you will probably want to skip this as it will not be worth it for you, but if you are it is a fun 15 minute stop near Palace of Fine Arts. If you have a car, you can proceed to the above address where there is a gate attendant. You just need to tell him that you are visiting the fountain and he will tell you where it is. If you don’t have a car, Uber / Lyft is the easiest way to get here, and you can walk to the Palace of Fine Arts afterward making it a full stop. 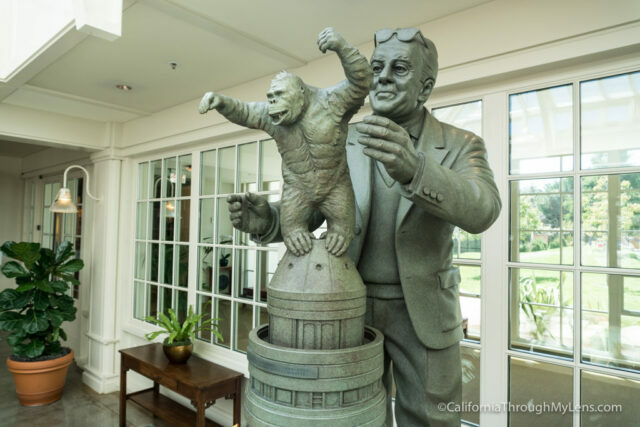 Once you get to the parking lot, you will proceed to the left and see the statue right in front of you. 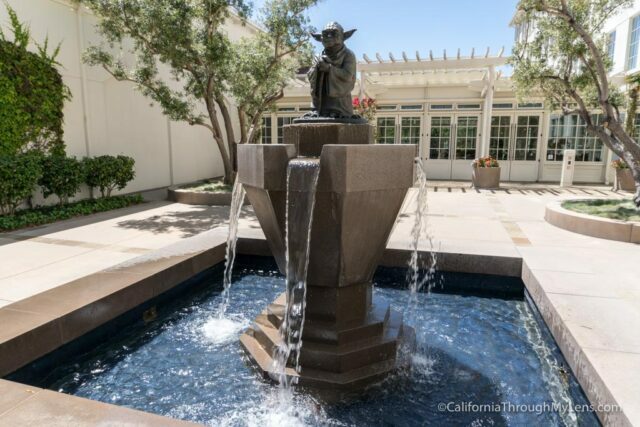 The statue has a small bronze Yoda sitting on top and water flowing from beneath. 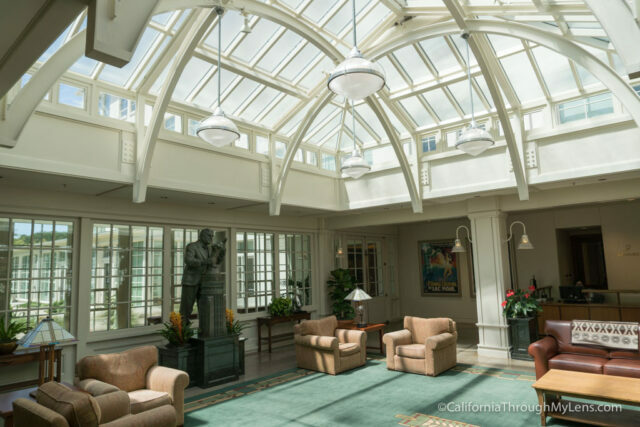 Take a few photos of it then head into the lobby. Remember that the lobby is for a business and they are actually working so be respectful and not loud. 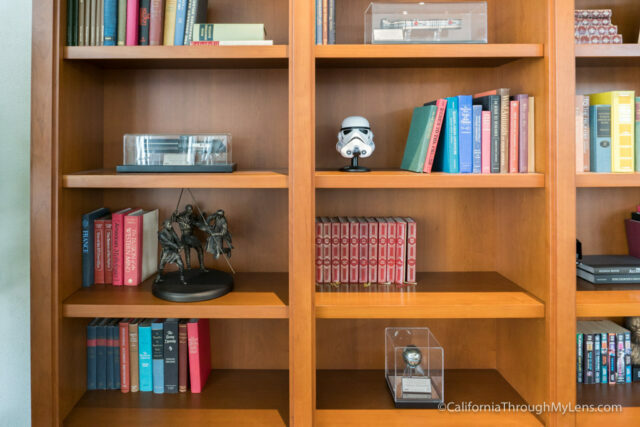 The lobby has lots of small pieces of star wars memorabilia all around the tables and bookshelves. 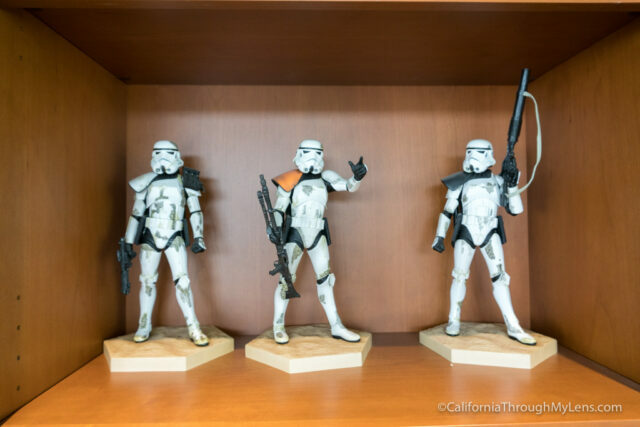 It is fun to see, and there are lots of unique pieces like replicas of the different lightsabers and small Stormtrooper statues. There is also a life sized Stormtrooper and old Darth Vader costume which are the two highlights. 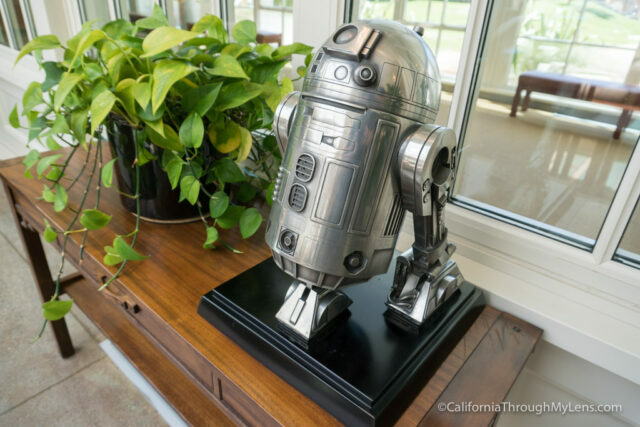 Around the other side, there is a metal R2D2 as well. Lastly, there is a neat bronze statue dedicated to the guy who made a lot of the effects from some of the famous old movies. I had a fun time just walking around and taking it all in, but like I said above if you are not a Star Wars fan, you can sit this one out. 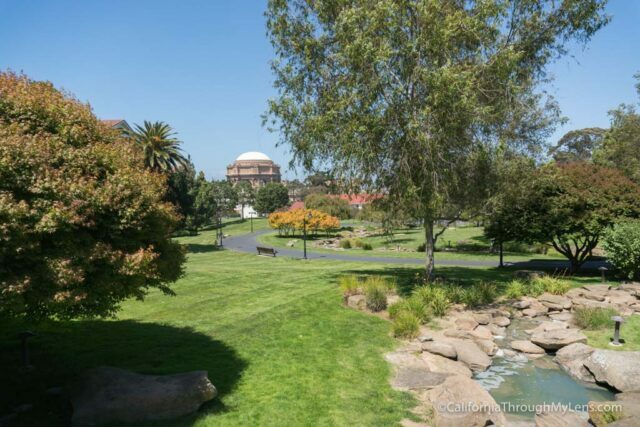 When you are done, walk through the campus over to the Palace of Fine Arts which is a must see in the city and is free as well. It takes about 10 minutes to walk there.